Este cuaderno fotocopiable de 80 páginas motivará de verdad a los estudiantes de nivel intermedio y avanzado a comunicar en inglés. 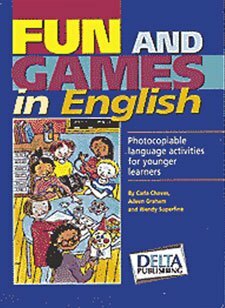 Las actividades incluyen herramientas para el diálogo, las charlas y ofrece juegos de lenguaje centrándose en áreas específicas de la lengua inglesa, además de en la comunicación en general. Cada uno contiene 60 fichas fotocopiables organizadas en 40 temas, cada uno con 1 texto e ilustraciones. Se utilizan más de 1000 palabras. Apéndice con solucionario. 80 páginas. 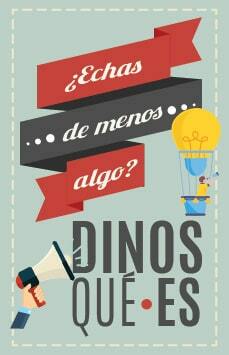 ¡ Ideas para sus clases ! 2 volúmenes destinados a principiantes. 10 vocabularios para utilizar en el desarrollo de 3 juegos diferentes. del léxico básico del inglés. (Títulos disponibles en francés) Desde principiantes hasta nivel intermedio. En las 92 páginas de cada uno de los 3 volúmenes encontramos 14 temas con 20 vocabularios ilustrados. Los vocabularios tienen el propósito de completar los crucigramas que son de dificultad creciente. 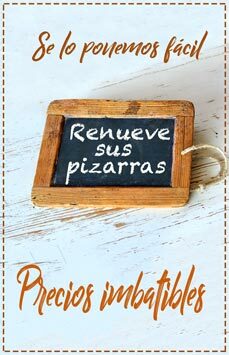 La asociación palabra-imagen estimula eficazmente la memorización. Desde principiantes hasta nivel intermedio. En las 92 páginas de cada uno de los 3 volúmenes encontramos 14 temas con 20 vocabularios ilustrados. Desde principiantes hasta nivel intermedio 100 páginas en cada libro. 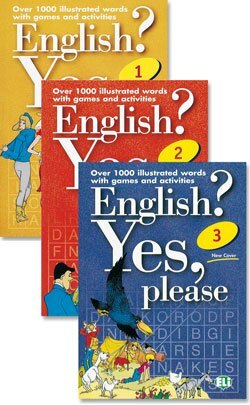 Se trata de una colección de 3 volúmenes de gran eficacia didáctica para aprender sin dificultad léxico y estructuras de la lengua inglesa. 3 Niveles, desde principiante a intermedio. 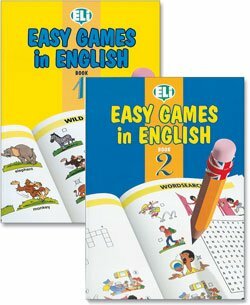 Juegos ideales para aprender vocabulario y estructuras del idioma. Cada volumen ofrece 14 unidades basadas en temas lexicales. Un tema gramatical y ejercicios son presentados en cada unidad. Incluye solucionario en el apéndice. 96 páginas a todo color. 40 varied activities to practise language in an imaginative and motivating way. Theme-based material, following a graded language syllabus, with plenty of recycling and revision. Activities are easy-to-use for the teacher; fun-to-use for the pupil! 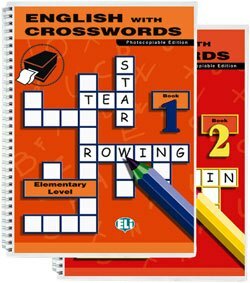 with extensive teacher’s notes for each one, following a graded language syllabus. in an imaginative and motivating way. 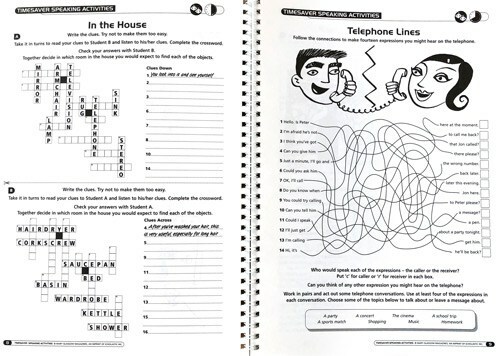 The photocopiable pages in Fun and Games in English provide teachers with activities which are simple to prepare and use, easy to adapt for individual classroom needs and above all, fun for the age group, reflecting the actual interests of young children, thus ensuring their involvement and motivation during this important early learning experience. 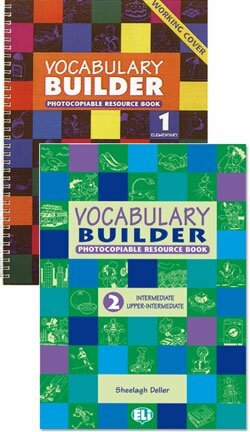 39 photocopiable activities designed to develop study skills in young learners. Systematic approach to language development. 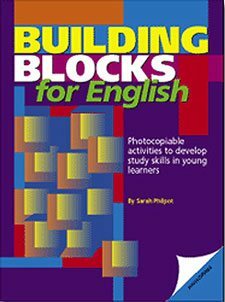 The 39 activities in Building Blocks for English provide teachers with a systematic approach to the development of study skills and language development in 9 - 11 year olds. 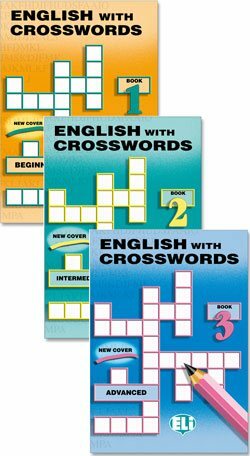 Through a series of motivating and engaging activities, learners move beyond simple repetition of words to generation of language through recognition of word partners and patterns. - Flexibility. Activities can be used with the whole class, in pairs/groups, for individual study, for homework tasks and can be used progressively or ‘dipped into’, to deal with specific needs. - Clear Teacher’s Notes, giving activity type, rationale, materials needed, instructions on running the activity, plus follow-up and extension activities. - Development of everyday learning skills such as finding words/subjects in books, categorising, selecting, editing, recording information etc. which will help pupils in other subjects in the school curriculum. - Activities build confidence, encourage autonomy and do not underestimate what young learners can understand and achieve. - a variety of activity types including jigsaw communication, task-based learning, role-play and collaborative projects. 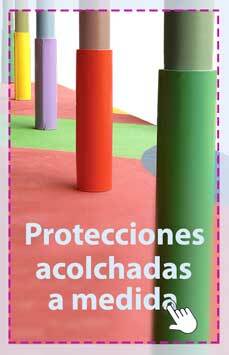 - supplementary activities in each unit which reinforce and practice the language that has been studied. - extensive teacher's notes, clearly formatted with lead-ins, full guidance on using the material and ideas for further activities. - detailed contents pages plus an index of topics and grammar for quick reference. 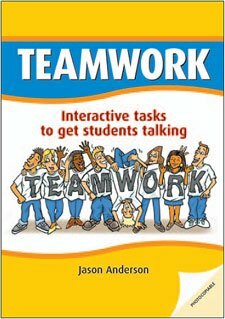 TEAMWORK provides ideal supplementary material for a wide variety of coursebooks. 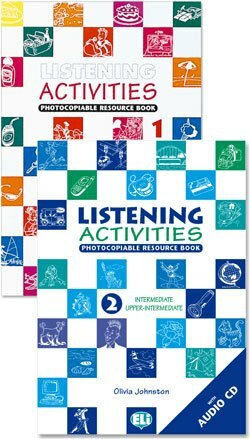 The activities in the book can be adapted for use with classes of any size. 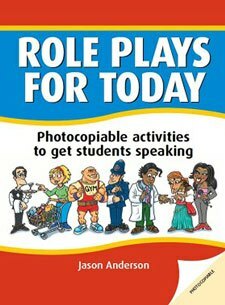 Role Plays for Today is a photocopiable resource book for use with adult and teenage students of English. It provides extensive speaking practice, and can be used both in EFL and ESOL classes from elementary to advanced levels. - Guaranteed to get students speaking in natural, real world contexts. 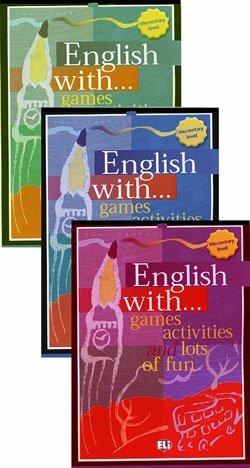 - Target Language boxes on all of the role play cards provide students with a convenient selection of key expressions and functional language appropriate to the role play. - All the ‘classic’ classroom role plays are included, such as the Job Interview, Visiting the Doctor, the Clothes Shop and the Restaurant - with plenty of creative ideas thrown in! - Lots of new role play ideas and contexts, such as Enrolling at a Gym, Breaking Bad News, TV Chat Show, Internet Café, University Interview and Passport Control. - Lead In and Follow Up suggestions with each role play to provide a fully rounded lesson. - Clear guidelines and suggestions for adaptation to different class sizes, lesson lengths and learning environments. 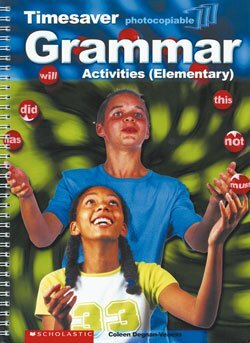 - Grammar, functional language and vocabulary areas for each role play are clearly indicated in the teacher’s notes, in the detailed contents and in quick reference indexes at the back of the book. Role Plays for Today provides teachers with an instant resource of all the role play activities they will ever need on a day-to-day basis. It provides students with enjoyable speaking practice activities in up-to-date contexts they can relate to. 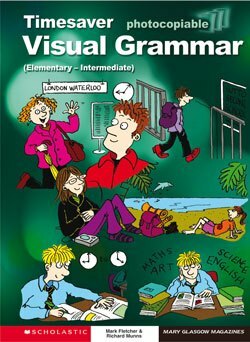 This book provides a comprehensive collection of the main grammar points covered at elementary, pre-intermediate and intermediate levels, practised through a series of fun and lively picture prompts. Ideal as consolidation and to provide further practice of recently acquired structures, either in class or as self-study at home. 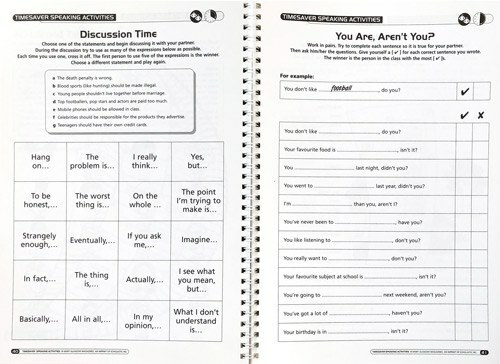 Activity types include gap fill and matching exercises, dialogue completion, and question and negative formation. Language points covered range from elementary structures such as present continuous and ‘going to’ to high intermediate tenses such as passives and future perfect.